Ikea will start renting and recycling furniture worldwide as part of an eco-friendly drive to address concerns its affordable, flat-pack business model leads to overconsumption and waste. It has already begun repairing and re-packaging products in every store that have been damaged in transit, as well as allowing customers to return products -- including furniture -- for resale or donation to charities. But renting a kitchen? The idea is actually not that absurd, said Cecilia Cassinger, a professor of strategic communication at Sweden's Lund University. But Ikea's 2030 goal could be difficult to attain, given its current carbon footprint. "The main challenges in making a shift to a circular economy are related to sustainable logistics (transport, storage, product assembly), services (repair, maintenance), and waste management," Cassinger said. The company aims to reduce its overall climate impact by 70 per cent on average per product by 2030. According to another report issued earlier this year, Ikea's raw materials represented more than a third of its greenhouse gas emissions, at 36.4 percent. Transporting goods and customers' transportation to stores -- which are usually located outside city centres -- meanwhile accounted for 19.4 percent of emissions. 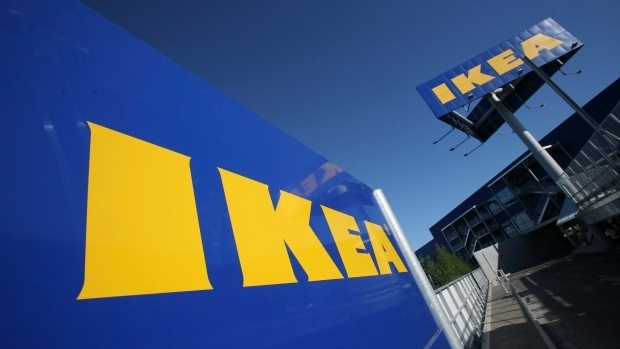 Environmentalists, such as Greenpeace Nordic, say Ikea's new initiatives are a good first step but say the company still has a long way to go before it can be considered environmentally friendly. "Ikea has the potential to become a fully circular business... but there are still major loopholes in terms of their ecological footprint that the new model does not provide a solution for." Most Ikea products manufactured by its subsidiary Ikea Industry are made in Poland, Russia, Slovakia and Sweden, but its biggest sales markets are Germany (15 per cent), the United States (14 per cent) and France (8 per cent), according to 2017 figures. Greenpeace is also critical of Ikea's large-scale use of natural resources like palm oil and wood, as well as plastic. "Do we need to own everything we have at home?" said Lund University's Cassinger, stressing that the consumer also has a responsibility to make green choices. Ikea's 2030 goal can only be reached if the company manages to extend the lifetime of its products, she said. And that's a demand increasingly being made by consumers, said Ingka Group's chief sustainability officer Pia Heidenmark Cook. "We have done a lot of research, talking to people in 10 markets and we have seen that consumer behaviour and consumer expectations are changing," in particular regarding the environment. Experts note however that Ikea's products, with their typically low second-hand value, hardly conform to the new trend of "consuming less but better". Ultimately, Cassinger called Ikea's business model into question. "Sharing and leasing may be ways of becoming more sustainable," she said. "But another option could be to scale down production and focus on fewer product categories of higher quality and price that may be used for a longer period of time and that can easily be repaired and maintained by IKEA consumer services, as opposed to being replaced by a new product." A tiny Japanese baby who weighed just 258 grams when he was born five months ago is going home from the hospital.